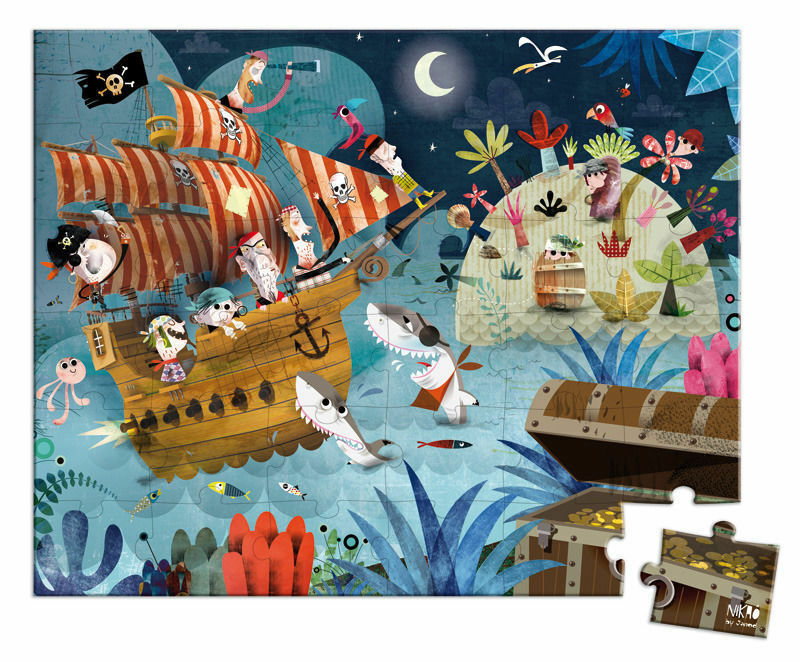 Ahoy there, me hearties! 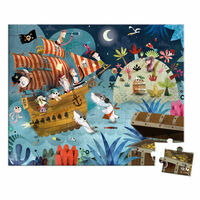 A swashbuckling 36 piece jigsaw puzzle featuring pirates, sharks and of course the obligatory treasure chest. 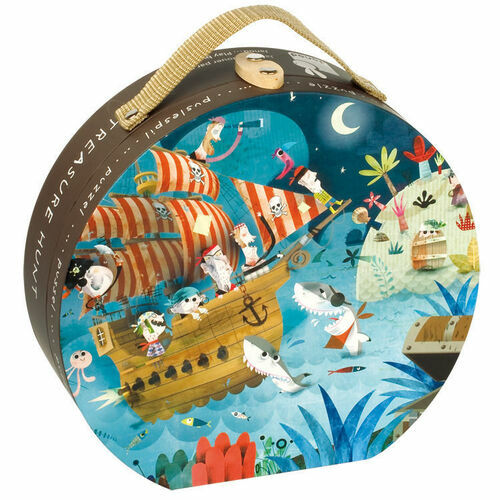 Handy for storage the puzzle is neatly presented in Janod's famous suitcase gift box.